I must admit that buying this camera was more impulsive than an educated decision. First, I really liked its general design. Then I was curious about the benefits of WI-FI. 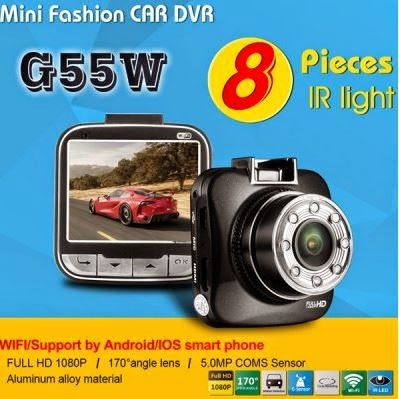 For the price of a G90, around 65€ (Dealextreme, Gearbest, ...), having Wi-Fi probably means that other components won't be of the same class, as it usually happens with those other cheap dash cams with GPS. The OV2715 is a CMOS sensor also found in some high end IP Cameras. 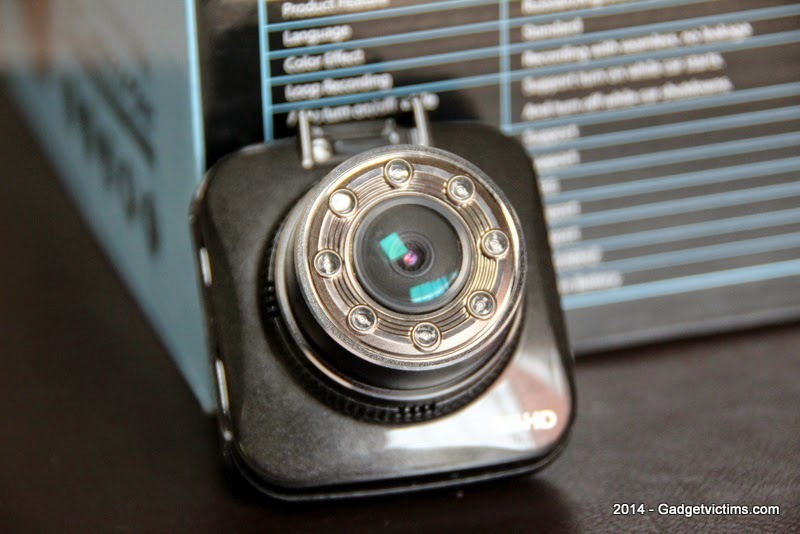 It offers a resolution of 2MP and it is unclear why this model is wrongly advertised as 5MP in many shops. 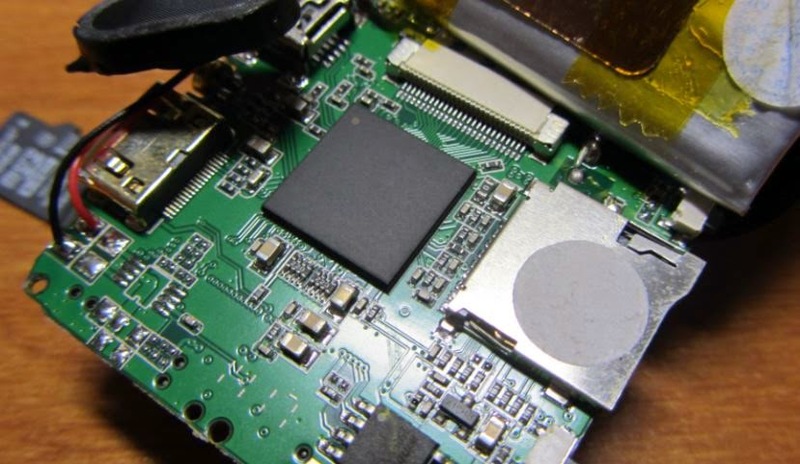 The LD6188 chipset is completely unknown (LD probably just stands for LingDu, the Chinese name of BlackView). So, no Ambarella or even a Novatek here. Seeing a LED ring around the lens is not a good news to me. It suggests that the sensor is not up to the job in low light. 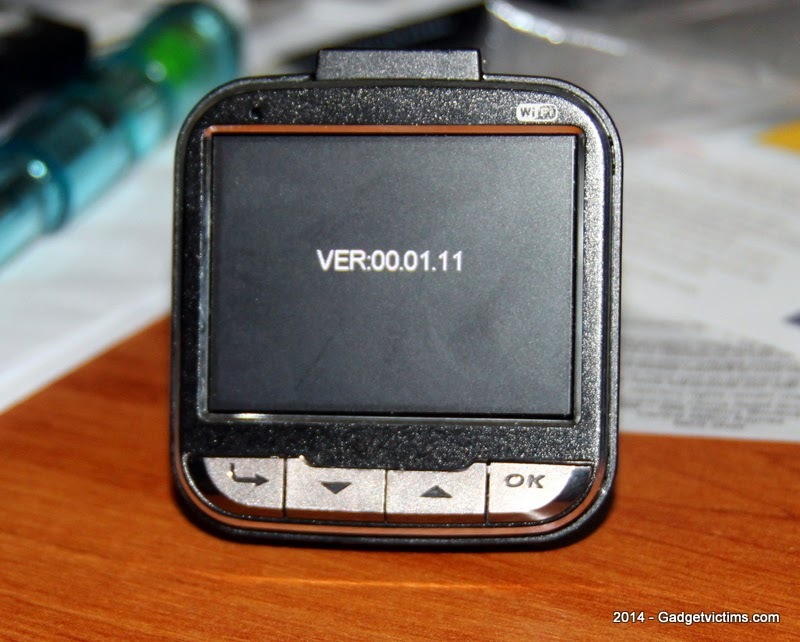 The firmware version is 00.01.11. It's confirmed to be the latest one and the BlackView website only holds an older v.00.01.07 probably only in Chinese. The first time it is turned on, the camera is in Russian. The alternatives are Chinese and English. 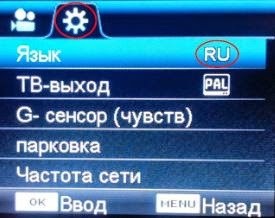 To change the language from Russian: Press the "return" key on the bottom left to bring the menu, then press the "M" (menu) key on the side to change to the "system, *" menu, then 5 times the Down arrow (next to Return), until you see a line with "RU". Press OK and make your language selection from there. with readable license plates like below. A runway on a pitch dark night at 100kph is more challenging, but not only for this model in fact. On a bright morning, the camera shows its limits and goes blind. An Ambarella chipset does better in such situation. The OV2715 does best in 1080px30fps. Lower 720px30fps and 720px60fps resolutions look quite bad and should be avoided. The examples above also show the fish eye effect of the 170 degree view, slightly more pronounced than with G90 which gets a better "de-warping"
As recommended, I've been using a Kingston Class 10 micro-SD card and I formatted it with the G55W. I've been experiencing gaps in my recordings early in my tests. Some of them could be of several seconds. This has been mostly solved by bringing the "Seamless" value down to 1 minute. 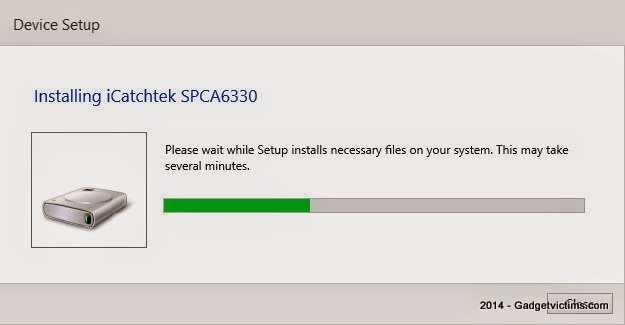 My understanding is that the device needs time to save the previous file before being ready for recording a new one. The bigger the file, the longer the gap. I also suspect the "Motion Detect" to affect the continuity of the recording. 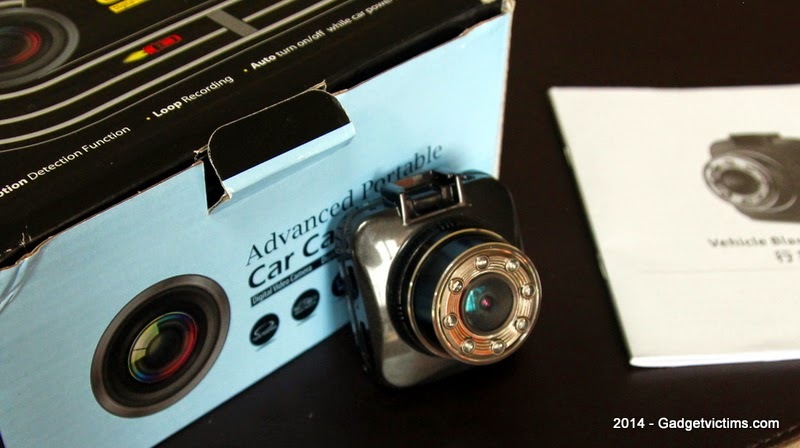 It is usually only useful if car lighter remains powered when the engine is off, so start/stop recording needs to be done on motion detection instead. So, better keep this one Off if possible. The G-sensor will detect shocks from a potential accident and lock the related files. Pressing the "Down arrow" button also protects the current recording for deletion. There are many resolutions to choose from in the still picture camera mode: 10, 8,6,3,2, and VGA.Given the sensor capacity, there's no point choosing anything else than 2MP. This mode is very complete with Photo burst, delayed snapshot, date stamp and white balance selection. When the camera is plugged via USB to a PC, it first starts as a storage drive (MSDC). 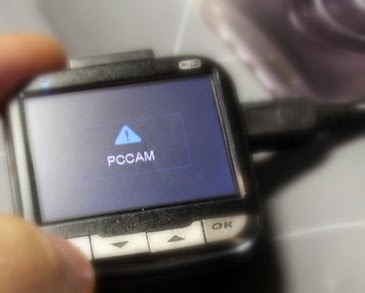 When pressing twice on the OK button, the mode changes to PCCAM and the G55W becomes a full HD webcam with audio support. 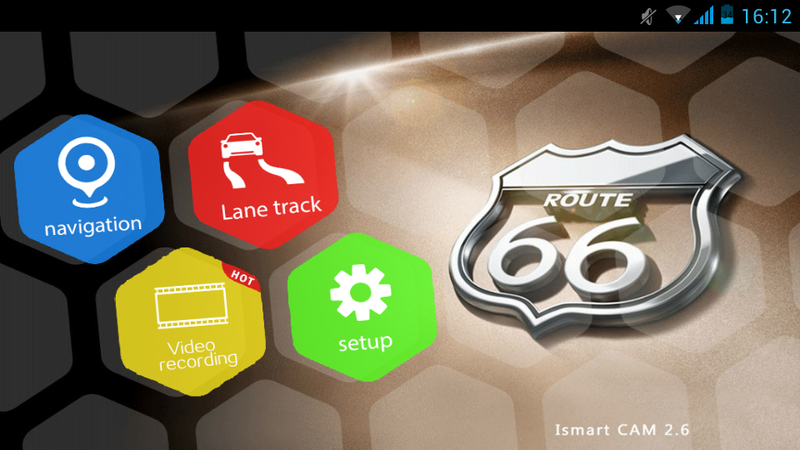 The Route 66 logo on the splash screen can be confusing as there's no relation whatsoever with the Route66 app. 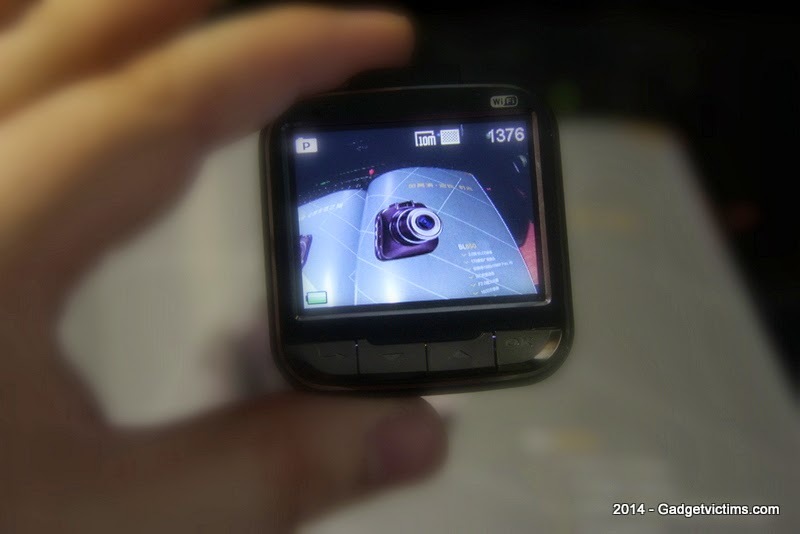 Ismart CAM actually installs OsmAnd for its navigation part (which is surprisingly not bad at all). 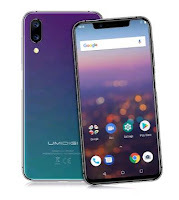 The main feature offered by WI-FI connectivity is for your co-pilot to start video recording and take snapshots directly from the phone. But there's also the "Lane track" option in the app which records your trip to a GPS log file. The "track" could to the video to view in Registrator Viewer for instance. FTP: accessible as "anonymous" from which you could retrieve your records. telnet: potentially risky but the best place to learn more from the G55W guts! Overall, the casing, the battery and the user interface is better than the current G90. The G55W is a well built and feature-rich device that would have deserved a better chipset/sensor pair. While you have a decent full HD rendering (1080p is good, 720p is terrible), the OV2715 sensor shows its limits in darkness and bright daylight alike. It turns out that the strongly advertised "8 Pieces IR light" is purely cosmetic (= absolutely useless) and hardly provides any brightness in the dark scenes. The Wi-Fi feature is operational and can be a useful addition for some. - Video quality at night is acceptable if using the full HD mode (1080). - Good audio recording quality. - The 300mHa battery provide a comfortable reserve of power for reviewing records or taking snapshots unplugged. - Resolution 1080px30fps only is ok. 720px30fps and 720px60fps should be avoided. - Chipset and sensor a bit limited. Note: The G50 (BL850) is a variant, trading the IR lights and WIFI for a better chipset (Novatek 96650) and sensor (AR0330). To be reviewed here soon! What an amazing set of features for a modestly-priced device! 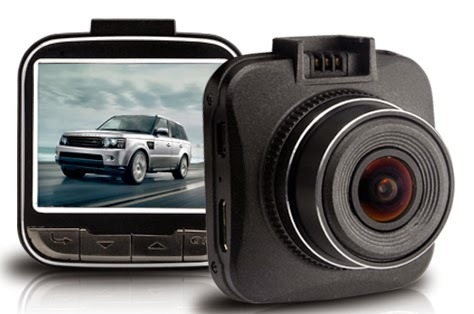 An example of the rapid developments occurring in portable video technology. 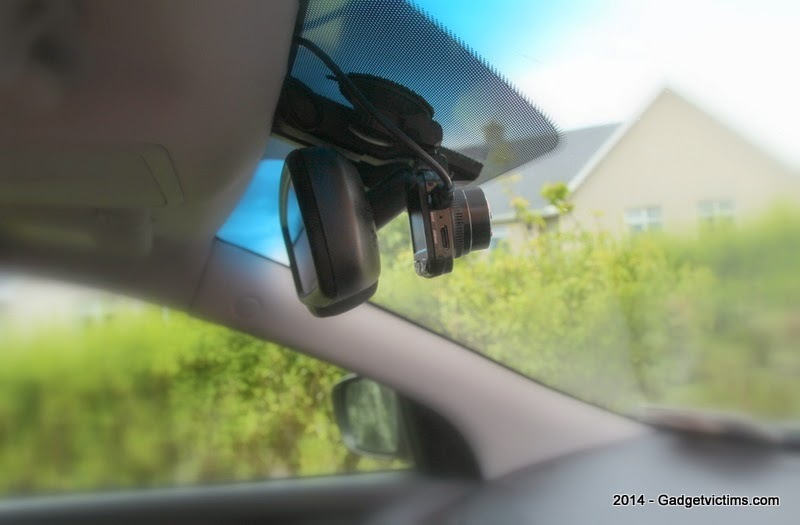 Thanks for the review - it's piqued my interest in dashcam-specific features beyond the simple video capability. 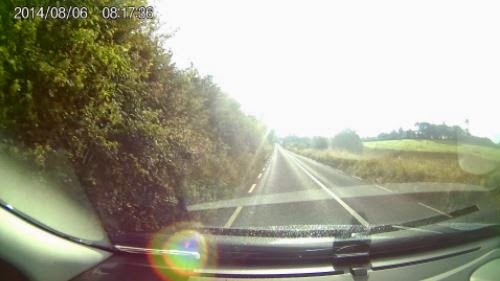 For several months I've been using my 'Mini F9' Ambarella-based cycle helmet cam as a dashcam. But the only dashcam-related feature is the mount. 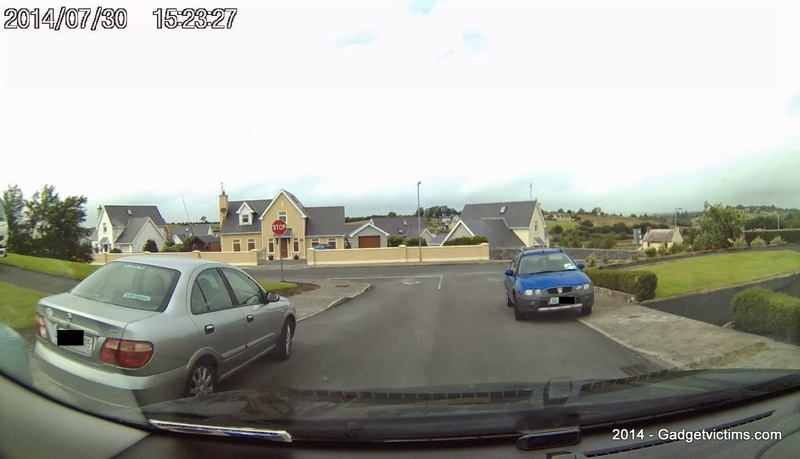 On this one - I did find that the 60fps of the 720p setting was better at reducing motion blur on details like number plates. Thanks for your feedback Alastair. I just received the G50 today but the review may no be ready before September as I'll be on holidays shortly. The G55W is just not sharp enough to be adopted as permanent car DVR so I hope the G50 will do better. So far the G90 with its Ambarella A7 chipset is the absolute winner, except it's slightly less discreet. You wrote: "The G55W uses the live555 libraries and their doc should help finding the right url and port to use in VLC ". Could you please tell me how exactly to find url and port? I was planning to dig into that but sold the camera in the meantime. It should be possible to retrieve this from the datastream by using a network sniffer like Wireshark. Did you test IR LEDs distance in full darkness? I was cheated by the seller and he sent me BL850 instead of G55W, it looks the same but without IR LEDs and maybe some other functions (I don't know for sure because the manual is Chinese only and I cannot read it). So I wonder, what is the max distance of IR leds in complete darkness to get at least some shady image? Some people argued that the IR visibility distance is as low as a few centimeters. Is it true? 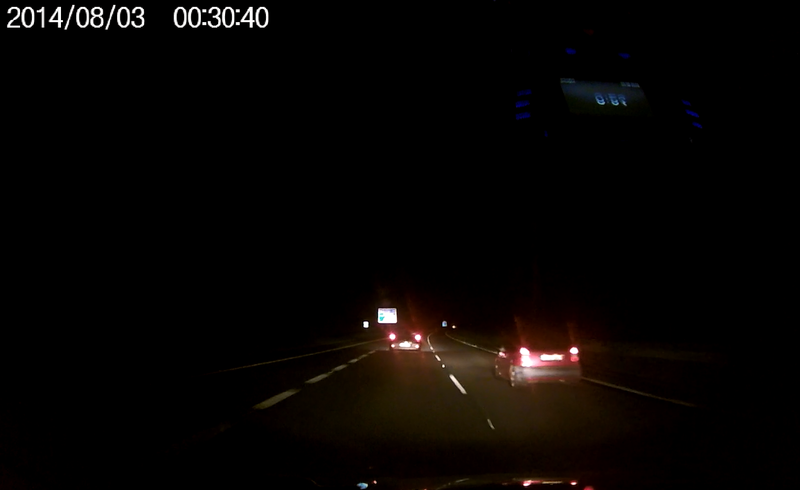 The IR is indeed useless in a car and will at best reflect on the windscreen. However, at that time, I tried taking snapshots with that camera inside a closed drawer the result was still pitch dark despite a faint soft glare from LED (which IR can be viewed using another camera pointing at it). No, i think the LED ring is only there to fool customers who still think that it means "Night Vision capable". The BL850/G50 also has a better chipset and sensor (NTK96650+AR330) sensor than the G55W (LD6188 chipset+OV2715) and while it struggles in pitch dark, still gives an acceptable result (see the G50 review). You shouldn't regret the BL850 over the G55W...unless you were counting on the Wi-Fi function. In fact, I'm not even sure that it is true BL850. Menus look like G55W, not like G50, but there are no leds. Pity that you didn't make screenshots of all options in menus, I'd like to compare. Do you remember, how the IR light was turning on? Through menu or through long buttons press? I don't see IR light options in firmware 00.01.13. I tested the lens with external IR lamp, it can slightly pass 850nm wavelength and much worse 940nm. Another camera without IR filter gives much brighter picture with the same IR source. So there is some kind of semi-transparent IR filter, that's why not very powerful internal IR leds may not perform well. Maybe because of if they decided to remove IR leds, or maybe it's just a fake model. 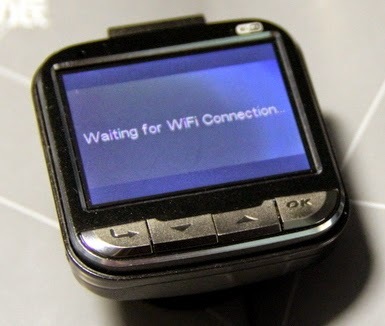 Do you remember, could it transmit Wifi picture and record simultaneously or only one task at one time? There is ~1-2 seconds delay in the transmission (not realtime). The screen on the DVR cannot be turned off while WiFi transfer and the device heats up a lot. Simultaneous recording to TF card is not possible because you should stop recording to enable WiFi. Wifi distance is less than 10 meters indoors (brick house), I lost WiFi connection when I walked out of the room to the kitchen and it didn't reconnect automatically when I returned closer. It's more like a toy function, not very useful in real life. Nice finding for the video stream! So far it seems that you have just a G55 without LED, and with a slightly newer firmware. I wouldn't be surprised that they eventually decided to remove them as they were useless and to lower the production cost. You should maybe ask this guy for details. But changing any values don't affect anything - the resolution and the quality and the bitrate remain the same. Funny that the first image transmitted in the stream is of very good quality, but all the following frames are all of very bad quality. Line "[RTP][ParamReset]H(1920,1080,12000000,30)M(640,360,80,4500000)" is interesting. I think it describes 2 video modes: 1920x1080 at 12Mbps and 640x360 at 4.5Mbps. It looks like the second mode is active in VLC player. I wonder, is it possible to activate the first mode somehow? I see that the first frame is very good and hi res but all the following frames are bad and low res. What's wrong here? So I suppose that you tried rtsp://192.168.1.1/MJPG?W=1920&H=1080&Q=30&BR=12000000 ? The drop in quality could be a bottleneck anywhere between the chipset overloading and the Wi-Fi transmission. Maybe it's an auto-adjustment to the throughput? I tried many values in W/H/Q/BR, none of them change anything. Maybe there is a bug in the firmware? It is written: H(1920,1080,12000000,30)" but if "M(640,360,80,4500000)" works, then it should be "H(1920,1080,30,12000000)", right? is it possible to fix it using putty access? As far as the quality is concerned, I checked again, the first frame is not HD, but is also probably 640x380 but it is of very high quality and looks pretty good. The following frames are over-compressed and look bad. Distance to the camera doesn't affect quality and in notebook and in android phone it's the same. I spent little time exploring the telnet interface but it seemed to give access to many advanced settings, some are risky but most have a in-line help. For safety, you should try getting the latest firmware from Dome/Blackvue. The firmware file must be copied on the MicroSD card and the unit powered (full battery or on USB power) and leave it for a while, there's no progress indicator so it's difficult to tell when the update is completed. You'll need to contact them for that, they rarely make those firmware available on their web site. Are you sure that it is correct file: G90-R404M-firmware.zip It looks like for G90 and there is no instruction in it. oups, sorry, try this one instead ! I deleted my previous message to avoid accidents for other visitors. OK, as there is no answer from BV and DOME websites, I decided to install your firmware. And it works! There are differences but they are not important, for example, my firmware was English and yours is Russian by default, but it's no problem to change it. And also the logos are different and there is IR leds menu option and my firmware didn't have it (as well as the leds). Luckily wifi password was reset and now I can access wireless network, although the rtsp stream is also of poor quality in this firmware. Maybe you should revise your article when you write that "The G50 (BL850) is a variant" because it turns out that BL850 is a copy of G55W for Chinese market. 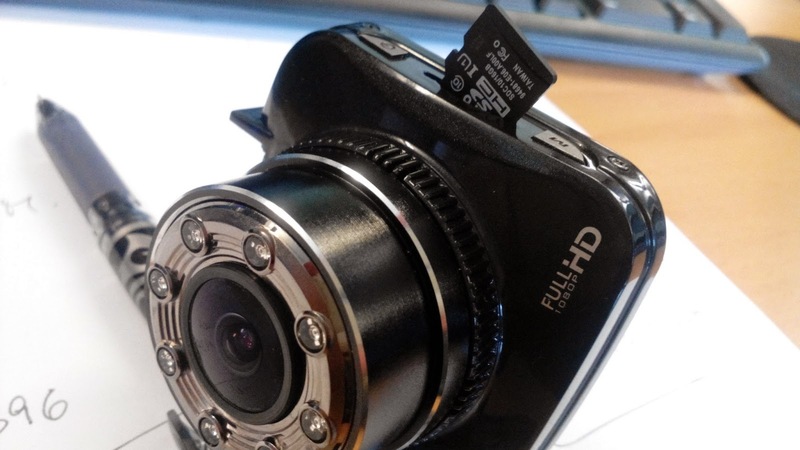 In the dashcamtalks forum it was mentioned that there are 3 BL850 versions - simple, with IR leds and with WIFI. 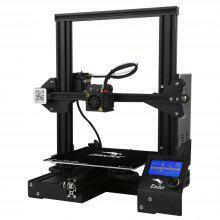 My model is with WiFi and without leds but the firmware is completely compatible with your G55W. Be ware for 'fake' devices or variants of G55W. From an aliexpress seller we received a G55W branded "DCPRO". Custum startup/shutdown screen. Menu features extra option: FCWS,LDWS (stay in your lane). Wifi option is present in menu but when activated does NOT produce a wifi signal. 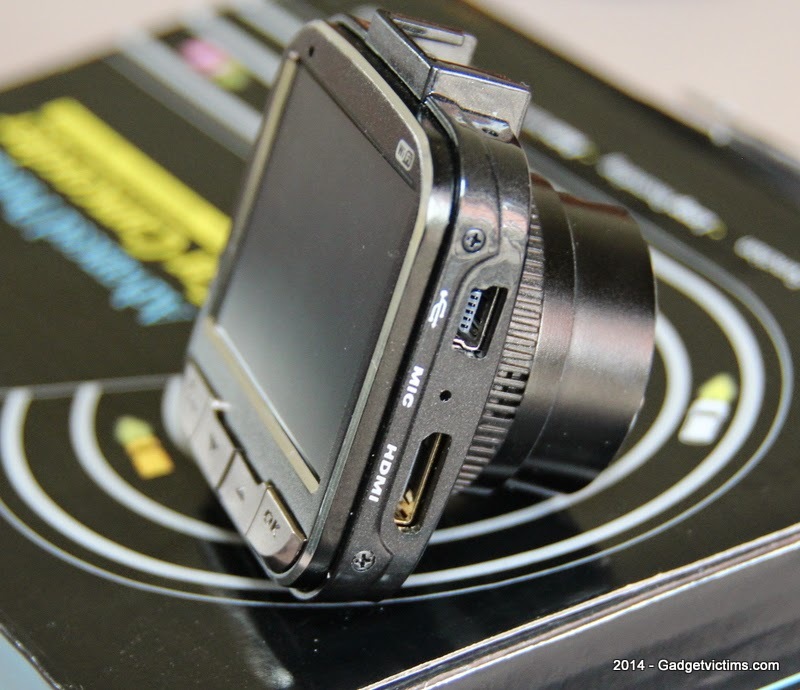 JPG details reveal a Sunplus SP5K Series Digital Camera. Firmware states G55W-AR0330-150122-01. Points to an Aptina ar-0330 Cmos sensor on board. PCB states: LD 500 30-12-2014. Mov quality appears to be ok, at first impression. Yeah, "thanks". It bricked my camera completely. It doesn't even charge and reset doesn't help. Cannot reflash with any old firmware.This firmware is not compatible with G55W/BL850WiFi (I used 2 different firmwares before both for G55W (from this post author) and BL850WiFi (from its developers) and had no problems but this firmware SHOULD NOT BE USED unless you want to kill it! BL850 have different 3 versions. My firmware only for G55W (LD500)!!! hi. I bought the DVR G55W 170 degrees c WiFi. two weeks it worked fine. but now menu is not loaded. Firmware is also not installed. only the boot picture. the reset does not work. please help me.